When recording any type of audio, be it a podcast a live recording or even yourself singing and playing an instrument, you always need to play with the level. Granted, it’s not so hard today when the two tracks are always constant, but sometimes you either have too many tracks, or certain speakers tend to move away from the mic. You then have two choices, take a lot of time and piece by piece adjust the audio or get the help of software to do it. Then, you have the background noise, that pesky hiss sound you sometimes have when no one speaks. It can quickly become quite a headache! But don’t worry, I have a solution for you and it’s called Leveler by Auphonic! We put it through its paces and here’s the review. The easiest way to qualify this is a major time saver for anybody recording and most especially podcasters! Leveler is at the core a set of very technical audio processing algorithms that can, like the name suggests, level your audio, but also remove the low frequency hum and high pitch hiss caused by electrical distortion, feedback or simply not professional gear. It also adjusts the levels to broadcast standards presets or LUFS1 presets. LUFS is a unit of measurement that identifies how loud audio is. This feature is usually reserved for professional tools. 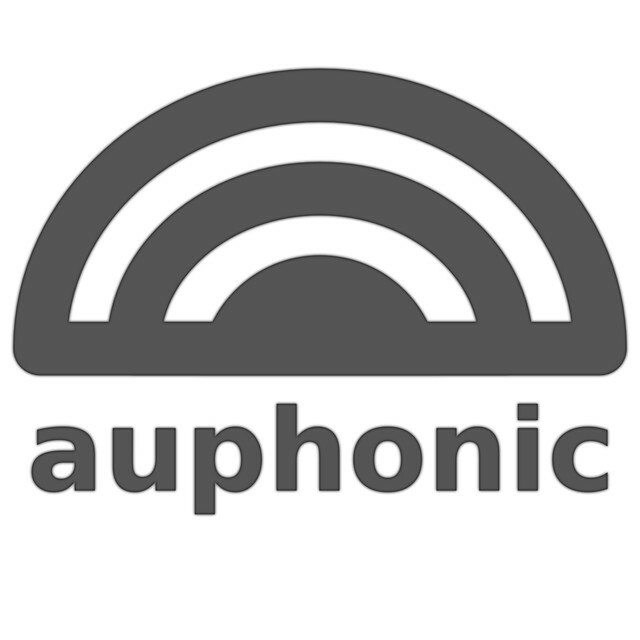 The best thing about Auphonic is that you have the choice of using their web service, accessible anywhere, even in their iOS apps for recording on the go, or in the form of an installable software for macOS and Windows 7+. Both have the exact same technology powering their app. The online service has a couple more features though, it can save you even more time. Let’s start with the installed software. After installing Auphonic Leveler Batch Processor, you are presented with a simple interface with customizable options for the different effects. However, I never change them, they are very effective right out of the box. You simply drag and drop the audio file, it can be a .WAV, .AIFF or even an .MP3. I strongly suggest using uncompressed audio files though for the processing, you often get a better final result if you process uncompressed audio versus compressed lossy audio files. From the drop-down list, you select the loudness you prefer from -13 LUFS (very loud) to -31 LUFS (very quiet). For podcasting, we try to aim from -16 LUFS and there is a setting for this in this drop down. There are three other options you can enable, Adaptive Leveler to make sure all audio tracks are at the same level, High Pass Filter to filter out low frequencies and Noise and Hum Reduction to reduce and often remove the background noise and the humming caused by electronics. These features are always applied to segments of the audio track, meaning that the software will detect where each segment starts and ends and it will apply the appropriate effect to them individually. This means that if only of the two speakers have a background noise, the effect filter will only be applied to segment where his audio track is present. It depends exactly on what you’re looking for in terms of features. Auphonic Leveler — applies the audio cleanup and levelling filters to files with a single audio track. It then exports the audio file in the format of your choice. Auphonic Multitrack — you have the same features as Leveler but you can choose to apply them at a track level or on the mixdown version. It also includes crosstalk spill removal and automatic ducking to make sure the reverb effect of crosstalk is removed and voices and music have their respective place in the foreground or background. Auphonic Web Service — here you have kind of the whole deal. You get the same technology you have in the desktop apps, and add to this metatags, chapters, intro and outro insertion, compression and even upload directly to the service of your choice! You can basically do most of the work that normally involves a couple apps, command line utilities and manual steps in a single on using Auphonic’s web services! Most of the podcasts nowadays are recorded by more than one person, either over Skype or Hangout or, the way I prefer, as double-ender where each host records its own track. Then it’s up to one of the hosts to align, clean-up and do the final mixdown to a single-track audio file. Every week, Tyler and I record our own track using a sophisticated Audio Hijack session. I say sophisticated because we use Skype to talk, pipe the Skype track to an audio file, our own track to another file as well as play around with channels to hear each other over Skype at the same time. Since we are basically just using Audio-Technica AT2005 and ATR2100 mics, all this Audio Hijack magic is pretty easy and simple to do. Once the recording is completed, we save the uncompressed .AIFF files in Dropbox. Then Tyler will start the multitrack session using GarageBand to align, remove most of the silence and make sure that if we speak at the same time, he slightly moves the audio bit. Also, I often do swear words since I’m such a foul mouth, so he also needs to add some beeps here and there. Let’s keep it family friendly! He finally adds the intro and outro to the session. Once he’s done, he exports the whole project to a single track .AIFF and shares it over Dropbox. I then take this file, where we do not have levelled tracks and sometimes air exchanger sounds and pass it through Auphonic Leveler. The resulting file is then compressed using a command-line and the LAME encoder. Basically, 96Kbits MP3 with no ReplayGain added since Leveler already levelled the tracks, music and loudness. I then, use Kid3 to add the metadata, both ID3v1 and ID3v2. After that, I add the chapter using the amazing Chapters app on macOS. Once that is done, I upload it to our LibSyn account and publish it to their content delivery network. The file is now ready to be used in a blog post that will in turn show up on people’s RSS feeds and podcasting app of choice. You can easily skip a lot of these apps if you choose to go with Auphonic’s web service. The compression, meta tags and even chapters can be added using their service. No review should be published without examples. Here is an example taken directly from one of our past podcasts. You can see that Tyler and I do not have the same sound level and neither of us is loud enough to fit the podcasting standards. After passing it through the Leveler application, here’s the result. Let’s make things a bit harder for Leveler. I have recorded the following track with widely varying levels. I adjusted my mic input level from 25% to 100% to represent different hosts on varying levels. And the result with Leveler’s magic. If you want to see more examples, you can check out the examples page on Leveler’s website. No matter the app you are using to mix your audio track and even if you think you have a great sound, I strongly encourage you to try Leveler’s application or web service. It really makes a major difference and best of all, you do not need to think too much of some variables when recording. If you’re a bit closer or further from the mic or if you have a sore throat, Leveler will always make sure that your podcast is levelled the same way for each hosts with no exception. It will also save you a lot of time during the mixing of your podcast and it can also make a barely usable audio track from Skype or Hangout really usable. This software can save recordings and it saves you lots of time! I know of podcasts that are made of many different hosts with a very diverse microphone, techniques and loudness that could simply not be listening to that make use of Leveler and their episodes are now much easier on the ear and, in my opinion, Leveler makes a world of a difference! Both an app and a web service to fix your audio and level it in a very smart way. Disclaimers: This product or service was purchased for the purpose of this review.